The Way of the HR Warrior is a guide for HR professionals who really care to demonstrate the true power of the HR department to influence business strategy and the bottom line. Monica and Keri sit on the shoulders of HR Warriors offering thoughtful guidance. They synthesize and offer specific advice for HR professionals to make a difference for people and organizations. Their work is well written, practical, and useful. Co-author of "Love ‘Em or Lose ‘Em: Getting Good People to Stay"
This book will make you smile and probably wince—it considers the good, the bad, and the ugly of HR in a very intriguing and straightforward way. If you’re considering or have already established a career in the field of HR, this is a must-read, and will be used by HR practitioners for a long time. If you want a career in HR as a second-class corporate citizen, don’t read this book. Only those that choose to make a difference in driving business performance and want an accelerated HR career need apply. A great framework for what matters to the HR profession. Ohlrich and Frede make the satisfying business case that when HR is at the table with the C-Suite, the difference in company performance is powerful and successful. This is the book that will improve your performance. An excellent resource that will motivate you to transform not only your career but your entire organization. Frede and Ohlrich will teach you how to take CHARGE of your inner HR Warrior. What is an HR Warrior? An HR Warrior is Courageous, Humble, Accurate, Resilient, Goal-oriented, and Exemplary (CHARGE). Readers will find real-life stories from the authors about how they have applied the CHARGE framework in their own careers and organizations to great effect in their combined 25 years of experience as HR leaders working for small organizations, start-ups, and Fortune 500 companies. Frede and Ohlrich bring a warm, purposeful, heart-centered toughness to the role of the HR professional that is both instructive and inspiring. Through their CHARGE framework, they share their tough-love approach to developing the core skills needed by HR professionals to become HR Warriors. Sign up to our mailing list and we will send you book updates! You can unsubscribe at any time. 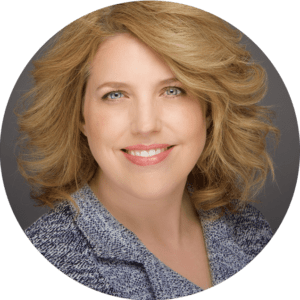 Dr. Keri Ohlrich, CEO and co-founder, is an outcome-focused senior executive with more than 25 years of success in the HR, manufacturing, consumer goods, and consulting industries. Leveraging extensive experience in HR leadership for organizations, she is a valuable asset for companies requiring assistance with business, talent, or HR challenges. Her broad areas of expertise include strategic planning, business development, employee relations, talent management, culture change, conflict management, performance management, organizational development, workshop facilitation, and employee engagement and development. Throughout her career, Keri has held leadership positions at a variety of organizations ranging from start-up to Fortune 500 companies. In her previous roles she has created and implemented HR processes, redesigned the talent function for an organization serving 25,000 global employees, led change management for a new business strategy, and overhauled the Human Resources department. 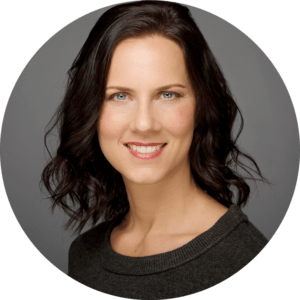 Monica Frede has worked for several Fortune 500 companies such as ManpowerGroup and Quad/Graphics as an HR strategic consultant and HR manager, and in several start-up ventures as a recruiter and consultant. Her passion lies in influencing the minds and hearts of business leaders about what HR can accomplish. Her areas of expertise include identifying and hiring top talent, change management and organizational design, leadership and management training, employee engagement initiatives, communications, project management, employee relations, employment policies, and reductions in force/outsource management. She attended Marquette University on a full basketball scholarship and earned a BA in Writing-Intensive English. She lives in Nashotah, Wisconsin. 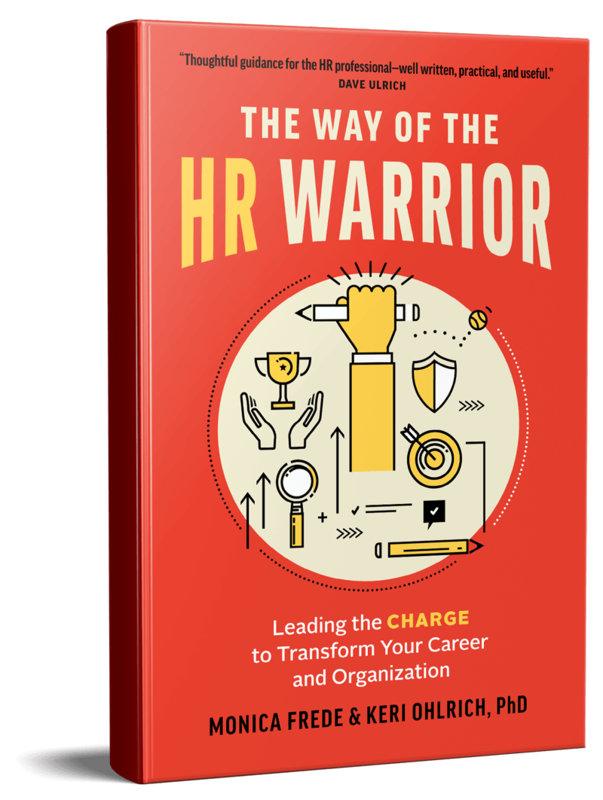 The Way of the HR Warrior is the first book by Abbracci Group co-founder Keri Ohlrich, and Monica Frede. Keri and Monica worked together in prior roles, and partnered together to create a book that focuses on the HR professional, and their passion to partake in the HR revolution. Keri co-founded Abbracci Group with Kelly Guenther in 2017 to take their HR expertise to the marketplace, with a mission to provide impactful solutions to companies when it comes to their critical needs. The book is a foundation for the HR Warrior solution, and you can visit the company website to see all that Keri and Kelly are doing for their clients and for the profession.